Women's Silver Tribal Necklace : LOVE2HAVE in the UK! 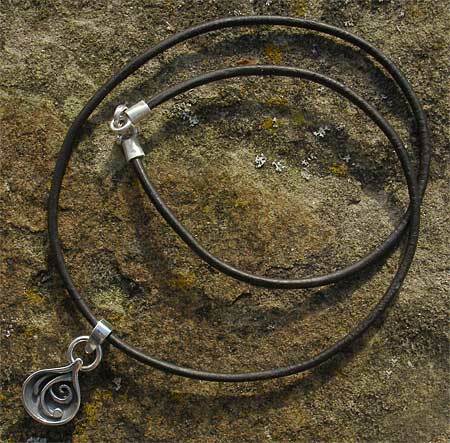 This tribal piece is a designer silver pendant threaded onto a black leather necklace. The pendant has a rounded shaped style and features a recessed design with oxidised detailing that is etched deeply with a tribal design. It is finished with black oxidising and has a rounded back. 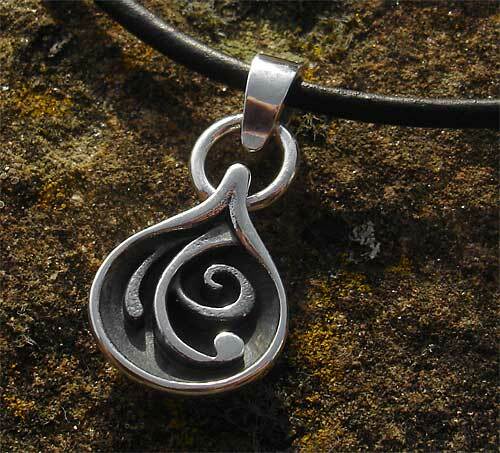 The pendant is made of solid sterling silver and measures approximately 20mm in height including the bail and comes with a 16-inch black leather necklace.